Aaaahhhhhh, we have been waiting for this one to drop for ages! Finally, and so worth the wait, Chris and Masha's Lake Como wedding is here, and it is AMAZEBALLS. 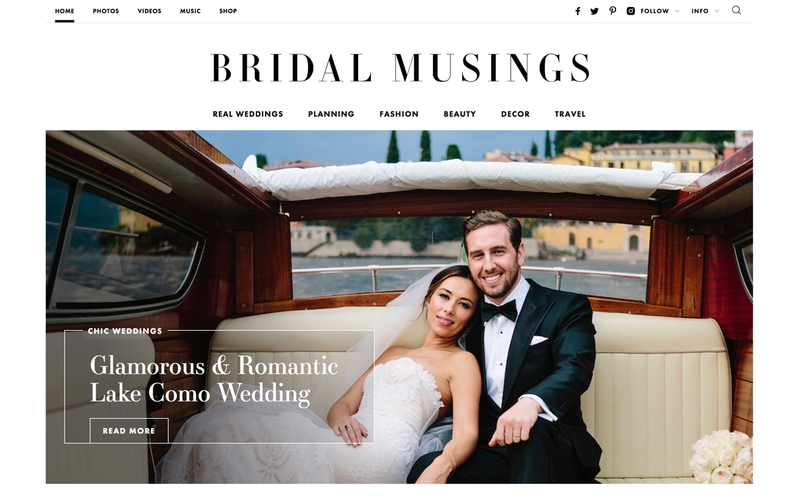 Today, our favorite wedding blog, Bridal Musings, did a fabulous double feature for this wedding - first, sharing the film trailer, and then a photo feature! They always put together the most beautiful posts, and we are so grateful to see our work displayed this way. Have a look for yourself - head over to BM to see the full features HERE and HERE! Thank you to Weddingbox Lake Como for the excellent coordination and eye candy! We can't wait to get back there soon! If you are planning a Lake Como wedding, get in touch - we are kinda experts now, lol. Looks like a beautiful and exotic wedding! You have covered the entire event so well, each and every detail can be seen. I have always admired your work, hope to see more posts soon!